Step into this move in ready four bedroom, two bath beauty. Plenty of entertaining space in the living room and lower level family room/game room already pre-wired for surround sound. New paint and recent carpet throughout. Boasting of laminate wood floors in the kitchen and living room, new floors in the bathroom and easy clean up tile on the lower level. All your major components have been replaced. Vinyl siding and replacement windows in 2012, HVAC replaced in 2011, water heater in 2017. Let's not forget about the spacious back yard that is ready for your next family gathering. Relax on the back deck, take a dip in the pool, complete with extended decking and plenty of privacy. Great storage with a detached storage shed with electric! 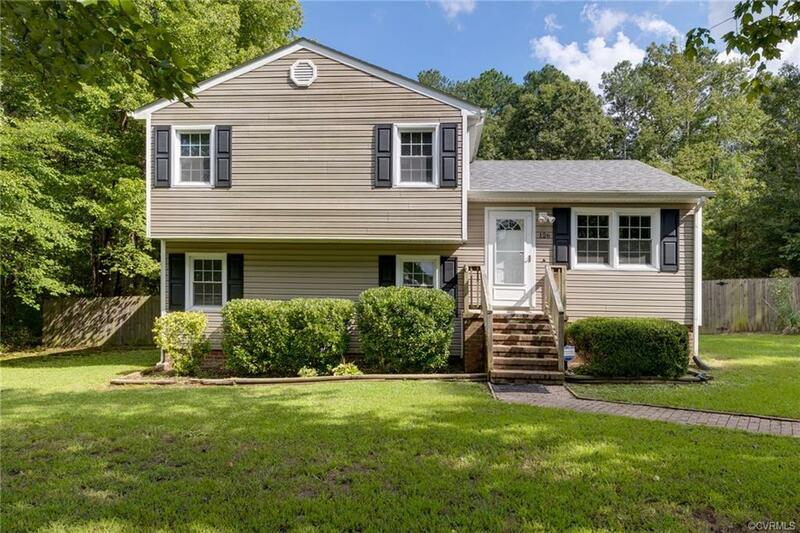 Location is ideal minutes to Fort Lee. Make your appt today, you don't want to let this one get away. Although no known defects, pool and shed convey as-is. Directions: Prince George Courthouse Rd. To Holly Berry Ln.